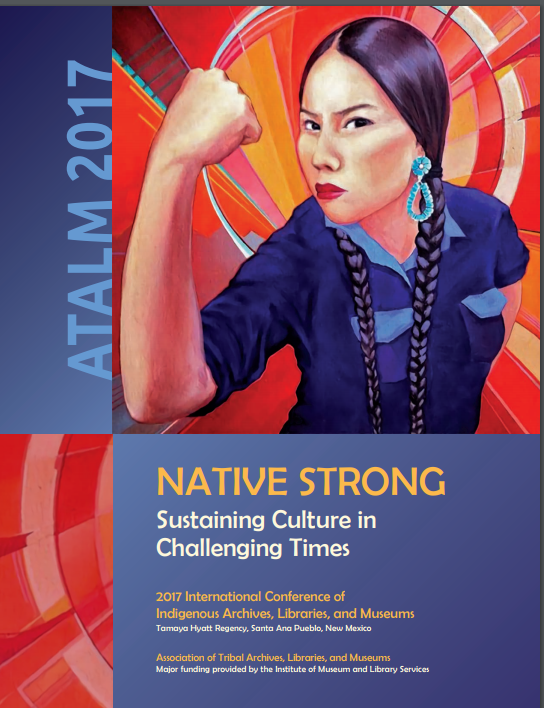 The Association of Tribal Archives, Libraries and Museums (ATALM) annual conference is the largest of its kind dedicated to professionals who work to support, protect, and preserve indigenous cultural heritage through their work in libraries, museums, language programs, and historical preservation centers. 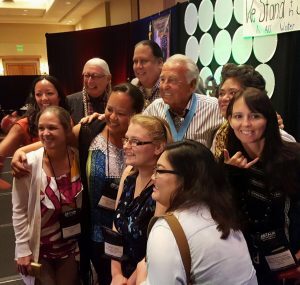 This was the tenth time this conference was held and over 800 people attended the 2017 conference, with 276 nations and 50 tribal nations represented. The Conference was held in Bernalillo, New Mexico at the Santa Ana Pueblo-owned Tamaya Hyatt Regency. 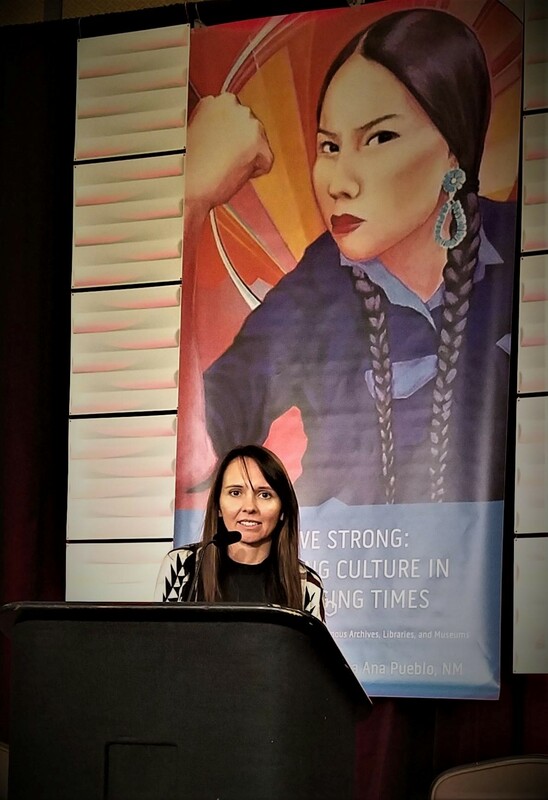 The theme was Native Strong: Sustaining Culture in Challenging Times. I have attended the conference three times and presented twice. Sessions at the conferences range from the correct way to display Navajo blankets to creating oral history projects, but all of the sessions have a few valuable and universal themes interlaced into their content: Context, do no harm, and respect. Where does the artifact come from? Knowing this may also help to determine its care. For example, artifacts made of feathers can be affected by dust, debris, and pests. A feather’s original context was that it was attached to a bird that flew through the wind in the sun. One technique for cleaning feathers in artifacts is to let a gentle wind blow through it outside in the sun (not too long to avoid color bleaching). This is a gentle way to remove dust and discourage pests. Many sessions suggested ways to return context to pieces without negatively affecting their condition. This can often be accomplished with technology. For example, I gave a presentation at ATALM in 2016 that taught participants how to build special effects using augmented reality technology to add context to artifacts, create meaningful tours, and add digital information to marketing materials, documents, and books. My 2017 talk was on fake news and determining good resources by understanding that the context can influence the way a news story is presented. For example, news organizations that have supporting interests in the Dakota Access Pipeline (DAPL) being built would refer to those trying to stop the construction as “rioters”. Those news organizations that were neutral, or did not support the construction referred to the dissenters as “protestors” or “water protectors”. Knowing who owns what news organization, and what they are invested in is important to understand, because it can bias their reporting. Leading patrons to unbiased resources is a cornerstone in the LAM fields. Some workshops had experts preserving baskets and pottery, their aim was not always to reconstruct but to simply preserve the original artifact and to protect it from further damage or deterioration. In many cases pottery and other artifacts are not reassembled but when they are, special archival glue is used. The glue can be dissolved with acetone in the future if needed so the original artifact or document is not compromised. A major tenant of archival treatment in the current literature, is that every action taken towards an artifact should be reversible. In the past, repairs have sometimes ruined artifacts or destroyed contextual evidence. Aggressive repairs now could lead to harsh criticisms from future conservators who will judge what we do now against whatever technology and expertise they will acquire through innovation. Protocols for indigenous resources were developed to help augment laws that have been passed pertaining to the rights of indigenous people to their own knowledge. Many of the laws, acts, and treaties passed in the U.S. are difficult to enforce or inadequate in the protection of cultural resources. 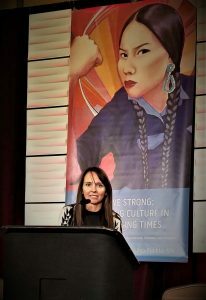 Professional organizations like the American Library Association (ALA) and the Society of American Archivist (SAA) work to create policies that will demonstrate a commitment to indigenous cultural knowledge and protocols, while also staying within the boundaries of U.S. law, which emphasizes equal access and intellectual freedom. Intellectual property – who owns the knowledge? Who can benefit or profit from the knowledge? The Master of Ceremonies, Walter Echo-Hawk, has been the Board Chair of ATALM since 2010. 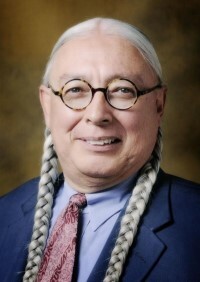 He has the impressive distinction of being the Chief Justice of the Supreme Court of the Kickapoo Tribe; of Counsel, Crowe & Dunlevy, Oklahoma’s oldest and largest law firm; and Adjunct Professor at Tulsa University School of Law (2010). He was a staff attorney, from 1973–2008, for the Native American Rights Fund (NARF), where he represented Native Hawaiians, Indian tribes, and Alaska Natives on legal issues federal Indian law. As a lawyer, tribal judge, scholar, author, and activist, his cases have involved Native American religious freedom, prisoner rights, water rights, treaty rights, and reburial\repatriation rights. He is admitted to practice law before the United States Supreme Court, Colorado Supreme Court, Oklahoma Supreme Court, U.S. Courts of Appeals for the Eighth, Ninth, District of Columbia, and Tenth Circuits, and a host of federal District Courts. He is the Founding Chairman of the Native Arts and Cultures Foundation Board of Directors. At the conference he gave the seminar “Taking Stock, and Marching to Justice” where he discussed the developments over the past ten years since the United Nations Declaration on the Rights of Indigenous Peoples (UNDRIP) was adopted. He explained the present-day usage of the Declaration and its continued implementation. [iii] Mr. Echo-Hawk is a member of the Pawnee Nation. He received a political science degree from Oklahoma State University (1970) and his law degree from the University of New Mexico (1973). He is the author of In the Courts of the Conqueror: The Ten Worst Indian Law Cases Ever Decided ​(2010) and, more recently, In the Light of Justice (2013).​ He is now the 2018 UH Mānoa Dan and Maggie Inouye Chair in Democratic Ideals with the William S. Richardson School of Law. The goal of ATALM is to serve the needs of those who work to protect and advance cultural sovereignty and I can think of no better example of someone who does this than Mr. Echo-Hawk. I was privileged to participate in three of the wonderful conferences he has chaired, and I am thrilled that he is here in Hawaiʻi to once again share his manaʻo with us. [i] First Archivist Circle. “Protocols for Native American Archival Materials.” 2007. (29 June, 2014). Available at: http://www2.nau.edu/libnap-p/resources.html. (15 Dec., 2017). [ii] Frank Boles, David George-Shongo, and Christine Weideman,. “Report: Task Force To Review Protocols for Native American Archival Materials.” Society of American Archivists Council Meeting, February 7-10 2008. Available at: http://files.archivists.org/governance/taskforces/0208-NativeAmProtocols-IIIA.pdf. (15 Dec., 2017). 1-140. [iii] ATALM 2017 Program Book, http://www.atalm.org/sites/default/files/ProgramBook2017web_0.pdf. (15 Dec., 2017).